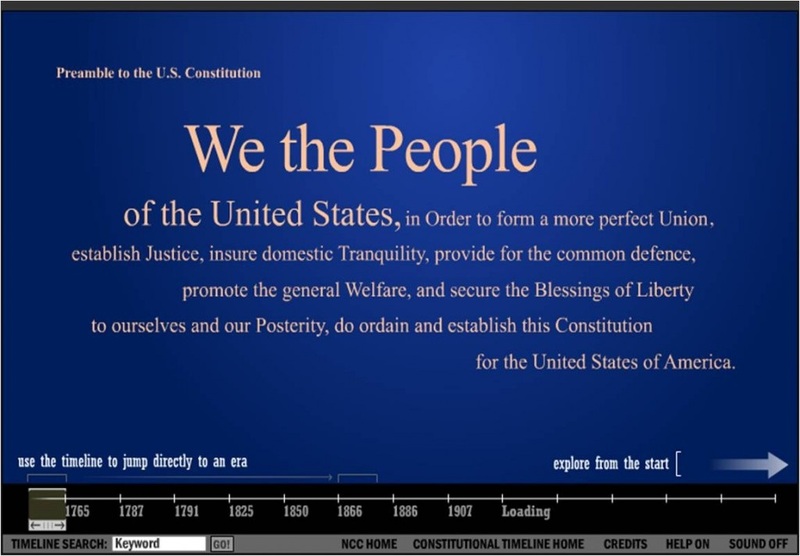 Read a transcript of the complete text of the Constitution, and explore a very complete account of the Constitutional Convention. In this excerpt, he President tells kids why the U.S. Constitution is relevant and cool in 2011 and which Founding Father he'd most like to meet. Watch the rest of the video at scholastic.com/president! After several failed attempts at creating a government, a 1787 convention is called to draft a new legal system for the United States. This new Constitution provides for increased federal authority while still protecting the basic rights of its citizens. Approx 3 minutes long. 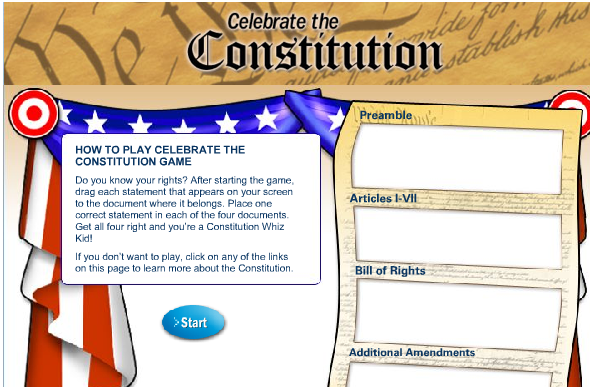 Go inside the Constitution, play a game to see how well you know it, learn about Constitution Day, and more. From Scholastic News. Brainpop ($$) - Describes popular sovereignty, republicanism, federalism, separation of powers, limited government, checks and balances, and individual rights. 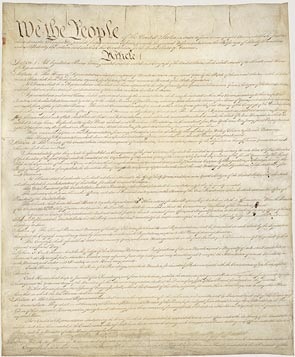 Congress for Kids Constitution - Learn about the history of the U.S. Constitution, including info about the writing of it, the Great Compromise, its signers, the Bill of Rights, and the Amendments.